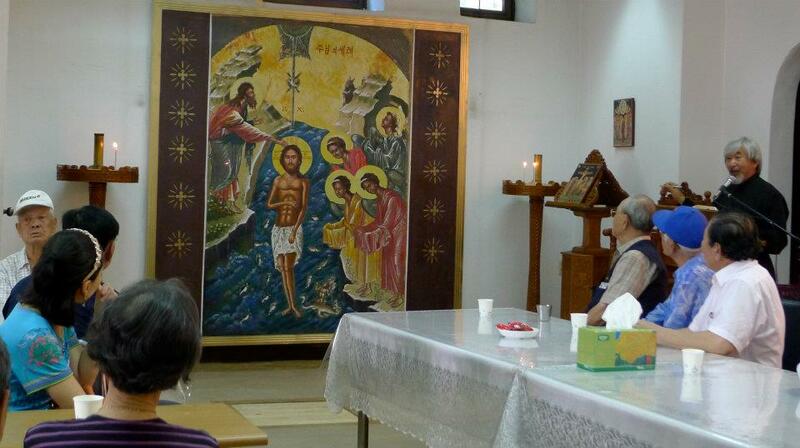 Inauguration Celemony of 14th c. Icon "Theophany" painted by a catechumen, Theophan Kim. (인천) 예비신자 가정이 처음으로 벽화 성화인 "주님의 세례"를 완성했습니다. 테오판 김 예비신자는 부인과 딸을 데리고 정교회 신자가 되기를 희망하시고 매주일 성찬예배와 예비자 교육을 받고 있습니다. 주님께서 지혜와 능력을 충만히 베푸시어 남은 여생을 주님의 말씀을 전하는 천상의 문인 성화를 그리시게 되길 축원합니다. 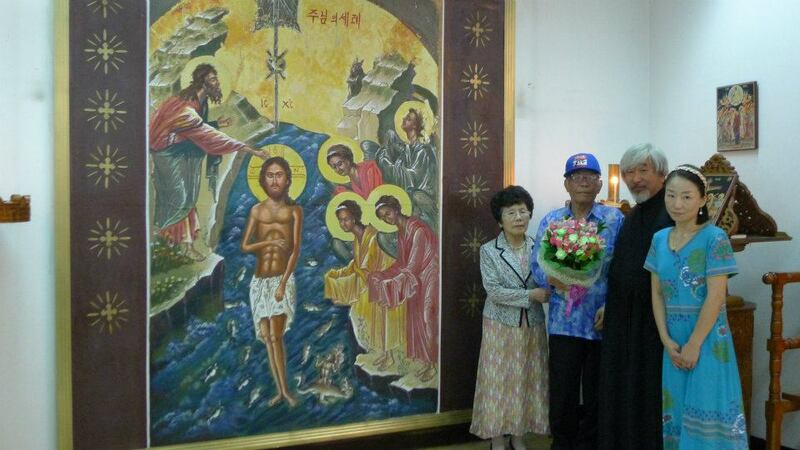 The 14th century Icon "Theophany" is completed by a painter, Theophan Kim. 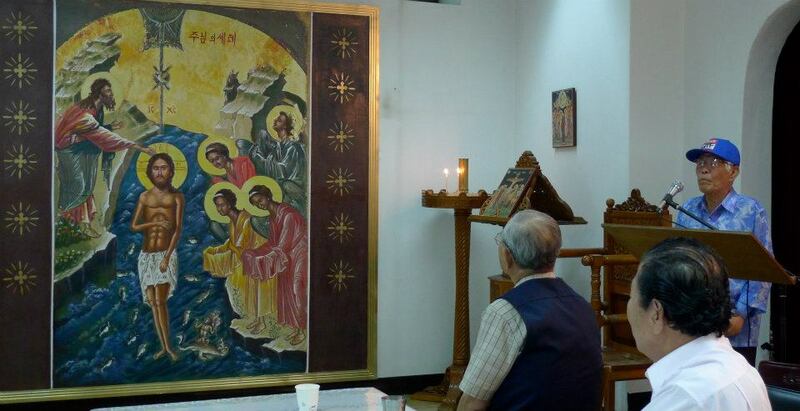 He is a catechumen and brought his wife and daughter together to our Church .On 11th July 2012 we unveiled the icon and pictured by local mothly magazine editors. 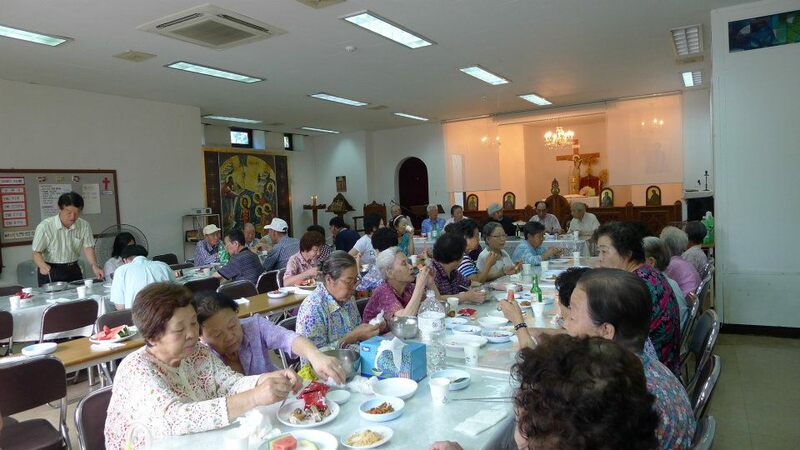 성화를 그리게된 동기를 설명하고 가족과 함께 정교회 신자가 되기를 희망하셨다/ Theophan explains how he became a catechumen with his wife and daughter thru his painting the icon for the Church.